Amidst the darkness and fog, the flashes of lights occur onstage and out from the sparks appear the manifestation of what began from the conception of one hot idea. It's British Columbia's very own HOT HOT HEAT!!! Giving rise to the crowd's excitement, frontman Steve Bays bangs the chords on his Roland Fantom X keyboard as if riding on a Harley Davidson, leans into it shaking his curls like a mad maestro, then on with the mic he glides across the stage in his punky grace venturing an occasional dip into the audience. On plays Hot Hot Heat sharing the energy of music that stirs the crowd into leaps and bounds of empowering and energetic dance and cheers. What inspires and empowers the music and energetic nature of Hot Hot Heat? Drummer, Paul Hawley declares, "Music and people inspire me to make more music." People are very important for inspiration as guitarist, Luke Paquin, will affirm. On the source of inspiration and empowerment, Luke proudly says, "My Father (Joe Paquin). He taught me music. If it weren't for my Dad and what he did with my Mom, I wouldn't be here." Now that's the kind of empowerment and inspiration needed for procreation, music, family, and self-development: The perpetuation of the importance and love for parents and family, and learning about that Hot Hot Heat thing that parents do to make more people and music!!! As hot as it gets, family and self-development require dedicated effort; bassist Dustin Hawthorne learned early and developed a strong work ethic at the age of 14, "I wasn't raised with a silver spoon; I was brought up in a blue collar family and had to get a job to buy my own records and musical instruments. Knowing I have to work to make something materialize - That empowers me." 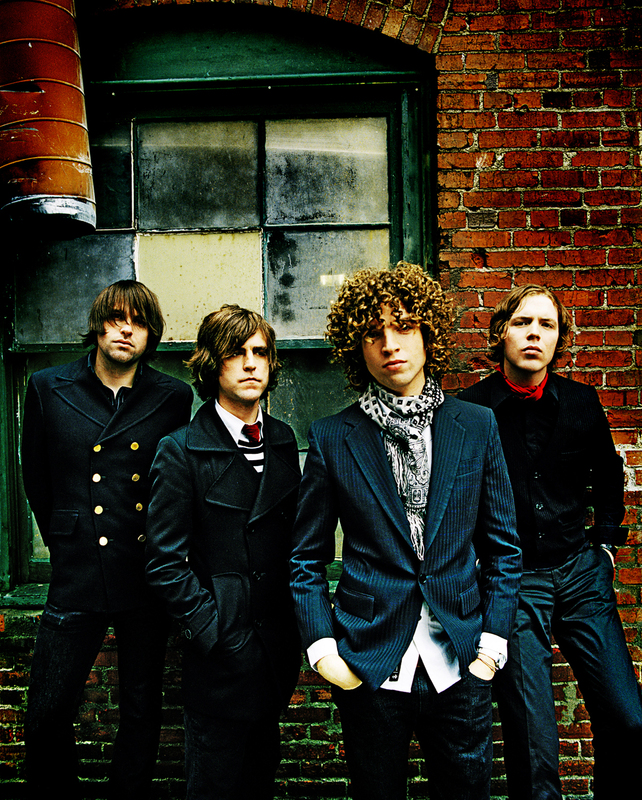 A most punky energetic frontman, keyboardist/vocalist Steve Bays adds, "Most important is stay enthusiastic. Working on ways to stay enthusiastic is how I stay empowered." Most certainly that Hot Hot Heat kind of enthusiasm is very inspiring and empowering. On the fact of transference of enthusiasm, every time I meet with Steve Bays, my own hair gets all curlier the next day! I call it "Met-a-physical Enthusiasm." Hot Hot Heat work hard, and they keep the energy and enthusiasm going through their music and all the people with whom they share. It's the lightening of empowerment, a lift of inspiration, the force from within that creates action and movement, the ideas that spark from out of the box. Paul Hawley explains, "You intellectualize it and put it in a box." And he demonstrates what happens with a fluttering swish and a snap in the air ...then the flash of light sparks up above as a sign of a new bright idea. Everyone has it - the unique awareness of what inspires and energizes to move us in magnificent ways and means. Like doing that Hot Hot Heat thing, the eminence of satisfaction is where enthusiasm dances and hot hot heat elevates! Hot Hot Heat gives us something to go on even in the middle of nowhere. Empowerment happens where out of the blue one may find an elevator in a moment of conception within one's imagination. Like creation and a light that shines in the sky by the snapping together of one's fingers, an idea sparks and creation begins. Inspired by ones unique and individual reason, energy, aim, and action follow. These are the Keys to Self Development & Empowerment. It's the ultimate empowering lift, all that is needed to open a door and create a path to ones fulfillment and success. 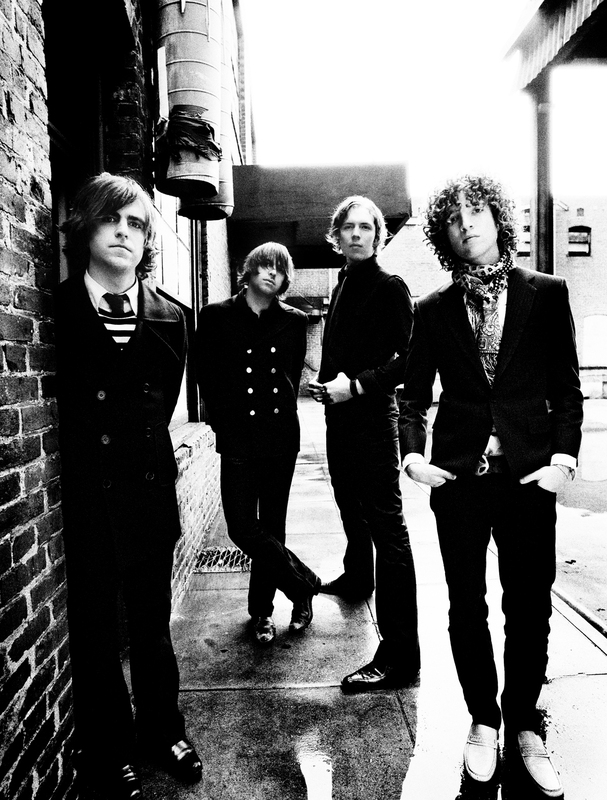 Steve Bays points out, "We are limited by our own imagination. Just know what you want to hear and you will hear it." Hot Hot Heat brings an empowering lift of energy with the music of their new CD "ELEVATOR", including their hits and favorites "Middle of Nowhere", "Goodnight Goodnight," "You Owe Me an IOU," "Running Out of Time," and more, plus classics from their first CD "MAKE UP THE BREAKDOWN" such as "Bandages," "Save Us SOS," and "Talk To Me Dance With Me." Listen, learn, and see what ideas can be conceived and what manifiests from the energized sparks of an empowered and inspired imagination. Let's get fired up and elevated! And let's go do that HOT HOT HEAT thing!!! The sign says ENTER HERE TO THE ELEVATOR @ HOTHOTHEAT.COM. By Melanie Silos, August 2005. Photos by permission of WBR. Click into the official Hot Hot Heat website at HOTHOTHEAT.COM for more.